We're delighted to confirm that ResetEra 2.0 will be launching on December 2! The Member Beta will continue until that date. A lot of changes have already been made in response to user feedback, and the site will be better for it when we launch. In these final days leading up to launch we will be focusing on a last round of bug fixes. Maintenance will begin at some point between 6-8PM GMT. We expect the upgrade and migration to take at least 6 hours to complete. We've been talking for a while now about our plans to create a site design that would be worthy of the title 2.0. The time has come to show you everything that entails. In the past, site development was all handled internally. In order to meet our ambitious goals and assist the technical team, professional forum developers were contracted to help with every aspect of this project. While this approach ruled out any design by committee, the result is a forum with a combination of features and flourishes found nowhere else on the internet. First things first: ResetEra 2.0 has been built upon next generation forum software in Xenforo 2.0. The current site designs were built upon the older Xenforo 1.5 for (at the time) greater stability and compatibility with a number of third party plugins which have been essential for managing a community of this size. A year later Xenforo 2.0 has matured as a platform and is now fully compatible with our needs. This upgrade needs to happen in order to ensure that the base software will continue to receive support, and it brings with it a number of quality of life improvements. Because this is a generational leap, none of the existing themes we have developed so far will be compatible with the new software. This includes both LightEra/DarkEra as well as DayEra/NightEra. Many of you are attached to the old themes, but simply bringing those over was not possible. As such, we've incorporated the lessons we've learned from those themes and the feedback you've offered and put it all into something truly ambitious. Sometimes it's easier to show rather than tell. Please watch the following videos for your first introduction to ResetEra 2.0. The team aimed to create something highly responsive and functional, wrapped up in a design that looks like a product of 2018. The left sidebar offers a host of navigation options. The right sidebar offers information about the board and a list of the latest threads. Both are hidden by default and can be shown or hidden again at your whim. If your screen resolution is large enough, an option to expand the site to fit the full width is available in the bottom left corner. The ability to navigate straight from the thread list to the original post (back arrow) last post (forward arrow) and first unread post (thread title) has been retained from the DayEra/NightEra designs. As per your feedback, the dark theme boasts muted purples inspired by the DarkEra legacy theme. Going from light theme to dark theme and vice versa is now as simple as clicking a switch. Mobile view was a big emphasis during development. A lot of effort went into making sure that browsing on mobile offers feature parity with desktop. This is the first time that we have been able to display view count and reply count on the mobile thread list, and the first time we've been able to represent both the thread creator (via avatar) and the latest poster. A full accounting of every new feature in ResetEra 2.0 would take forever. There will be any number of cool things that you'll discover yourselves when you get your hands on it. Some of these are inherent to the Xenforo 2.0 platform, some are the product of third party plugins, and some have been uniquely customized for us and no one else. We wanted to highlight some of our favorite new features that we think you will enjoy. The long conflict between supporters of 50 posts per page and 100 posts per page is officially over. No longer will you be restricted to such a limited, binary choice. With ResetEra 2.0 we are now introducing the option to set any custom value you want between 50 and 100 posts / threads per page. Simply check your account preferences and enter whatever number you desires. Do you want to have 75 posts per page? There's nothing stopping you now! 62 threads per page? Why not! 51 threads per page and 83 posts per page? You do you! Not to be confused with Threadmarks, Bookmarks allows you to save any individual posts and threads that you might want to come back to in the future. If you come across content that is particularly helpful, insightful or entertaining, you can now save that post or thread directly to your forum account. These Bookmarks become instantly available in a convenient drop down tab. This is a particularly fun feature which we're very pleased to be able to offer. When ResetEra 2.0 goes live and the migration is complete, members will be able to upload cover images to personalize their profile pages. Thread creators will also be able to upload and select covers for individual threads as well! These uploads have a recommended resolution of 600x1000 and will be limited to 250kb (easily achieved with reasonable jpg compression). See the following video for a demonstration. We know we've given you a lot to digest already! There will also undoubtedly be bugs and other issues that we have not yet detected ourselves. Therefore, starting immediately, we are opening up our beta site to any of our registered members who had accounts in good standing on October 2 (when the database was migrated). If that does not describe you then unfortunately you are out of luck. Because we cannot commit to moderating two forums at once, the beta website has had posting and other features disabled and is in read-only mode. We hope that you'll enjoy exploring the new design and its options, browsing experience, and wealth of available features. Note: If people still find ways to break rules or abuse features available on the beta site, their live accounts will be banned. If this becomes a recurring problem those features may be disabled on the beta! Let's try to have nice things. In order to access the beta, please sign in with your usual ResetEra credentials. 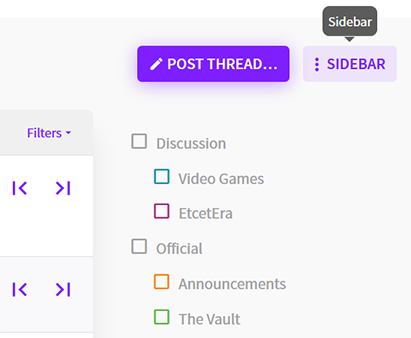 You may then have to manually select either the "Resetera" or "Resetera Dark" theme options from the style chooser in the bottom left. Please report any bugs you find in this thread, and make sure to read the post by deltaplus before you offer feedback. We expect to run this beta for about a week before addressing final issues and preparing for launch. We've put all of our hearts and months of our lives into this project. We hope that you enjoy it! That's right! ResetEra 2.0 will boast full Unicode support, and with it, emojis. Please note that emojis are not to be confused with smilies, so these won't be available in the post editor. You can simply place them using your OS level emoji keyboard. We place this great power in your hands and expect you'll use it responsibly. This has been a labor of love for myself and the rest of the team and we're really proud to give you a first look at 2.0. I'd especially like to thank Emily , Cerium , less for their dedicated efforts, and of course, our entire admin team and mods for poring over the site and giving great constructive feedback to bring this to life. - This is a beta! While we've ironed out a lot of bugs, there are bound to be more remaining. Let us know here of any bugs you happen to find so that we can fix them. - Give us your constructive feedback! I'll be here for a few hours to answer any questions you might have. - The beta site might experience some ups and downs as we handle the mass influx of traffic FYI. Excited to share this with everyone! whew, I was getting worried. saving the best for last! do you really love better call saul? These are some cool features. Hope the beta goes well. Is this the fabled era platinum? Threadmarks sounds nice.....was there any word on tags? That actually doesn't look terrible based on the vids. I'm impressed. From those videos, this is an incredible first impression. Really does make the current site seem 10 years old. is there anyone brave enough to go 1 ppp? Oooh...threadmarks seems like something that will be fantastic for things like the TV / Audio threads. Very cool! This looks so nice! The cover images for threads especially looks like it'll add some great flair to individualize threads. The emoji renaissance is upon us. As expected, we're experiencing a massive influx of everyone trying to see the new theme. Looking into adding more resources to that cluster. It looks really smooth. I'm not sure I'm ready to leave the Legacy Dark theme yet though. I really dig the UI. The mobile version looks like a native app. Great work y'all! Cant wait to give this a shot. I really love the new features. Most important, I cannot thank you enough for NOT giving us a Like button. Can't say I'm a fan from the video but always willing to give new things a try and see if I get used to it. The beta is down for obvious reasons, but from the video it looks like the dark theme is good again. It's been pretty amazing watching the team work so hard on the site and keep improving it. All of this in a single year. Huge props to you guys. So how about them gang tags. That's right! ResetEra 2.0 will boast full Unicode support, and with it, emojis. Great job though. It does look amazing. I'm awestruck. Amazing job, team! Emojis will be the end of us all. You fools, you have doomed us! Are we gonna be able to finally change our own thread titles like every other forum that wasn't GAF lets you do on the internet since ~1994? 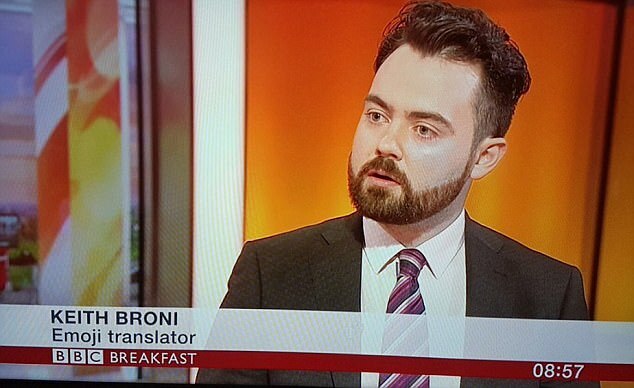 Well, it also improves support for non-English languages all around. Emoji are just a byproduct of it. Will there be a mobile app soon? I don't know if we can do it, boss. That all sounds great. Unless I missed it, I didn't see how Watched Threads work in 2.0. Are they folded into bookmarks? Any functionality gone? Looks great! Some really nice features that I had been hoping for, as well as additional surprises. Looking forward to it. Beta site seems down already :P Can't see it, but the OP looks amazing aesthetically. Can't wait to use it. Thanks for the covers, emojis, and added embed support! Dang this looks like a slick upgrade. Excited about the mobile stuff since I do a lot of browsing and posting from my phone. Really looking forward to seeing this rolled out live.